David Douglas Chapter, National Society Daughters of the American Revolution, was organized on June 21, 1981, in Redmond, Washington. Members live in communities such as Redmond, Kirkland, Sammamish, Bothell, and surrounding areas. Throughout our chapter history, we are proud to have sponsored two state winners for the Outstanding History Teacher award, as well as two state winners for the DAR Good Citizens program. At our 25th anniversary celebration in 2006, we remembered chapter activities such as visits to the Seattle Veteran’s Hospital Rehabilitation Unit and genealogy research classes at the Redmond Senior Center. Juniors (a DAR member age 18 to 35) are a vibrant part of our chapter: two of our Junior Members were named recent Washington State Outstanding Junior, with one a National Finalist for National Outstanding Junior. In 2011, our chapter also founded the Mt. Rainier Society Children of the American Revolution. 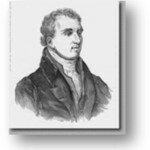 Our chapter bears the name of David Douglas, honoring a pioneer botanist of the Pacific Northwest. Douglas was commissioned by the Royal Horticulture Society of England in 1823 to come to America to collect seeds and plants for the National Botanical Gardens at Kew. He made three trips to the West Coast bringing back to England more beautiful flowers and trees than any other botanist sent out by the Society. The Pseudotsuga Menziesii, commonly known as the Douglas Fir, is named after David Douglas. This tree grows commercially in our region and is the most important tree in the American lumber trade. The Douglas Fir is one of nature’s most noble creatures. Its lovely blue-green crown rises to heights in excess of 250 feet; its massive trunk may be 50 feet in circumference, with bark up to one foot in thickness. David Douglas was born in Scotland in 1799 and died in Hawaii in 1834.